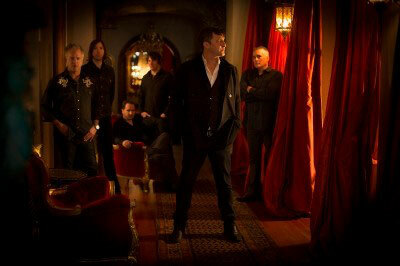 The Afghan Whigs werden mit "Do to the beast" am 11.04. via Sub Pop (Vertrieb: Cargo) ein neues Album veröffentlichen. Zusätzlich gibt es im Februar ein paar Europa-Konzerte, eines davon auch in Hamburg (s. unten). Frontmann Greg Dulli hat Folgendes zu dem Video zu sagen: "Meet Ryan O'Hara, our monitor engineer and cougar magnet. He wakes up everyday with a smile on his face and something positive to share with you. Every night during the gig he performs a parallel show behind the board and it's phenomenal to watch. Occasionally, I'll forget to sing because I'm watching him turn into Bez from Happy Mondays. But that's rock and roll for you. It keeps you young." Am 02. Februar 2015 beginnt ihre große Europatournee in Dublin. The Afghan Whigs kommen für eine Show auch nach Deutschland. Das solltet ihr euch nicht entgehen lassen.